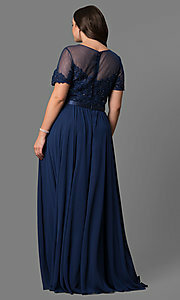 Gleaming lace applique and sparkling sequins make this plus-size formal dress an eye-catching style for your event. 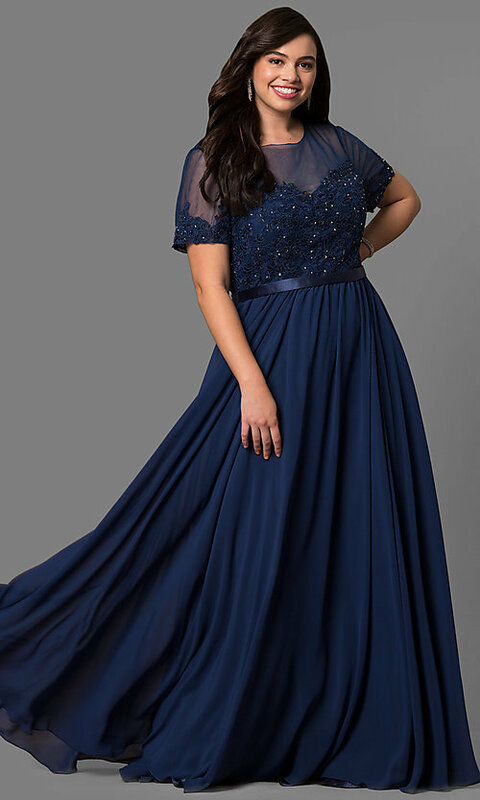 Shimmer under the lights for your grand entrance in this gorgeous long chiffon evening gown with an illusion scoop neckline on the short-sleeved bodice. 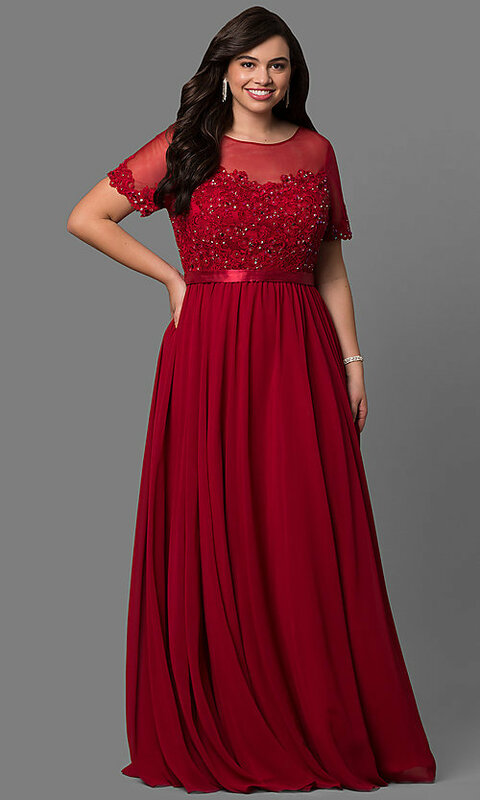 A gleaming band defines the natural waistline on the silky chiffon a-line skirt that flows down in layers to a dramatic floor length. 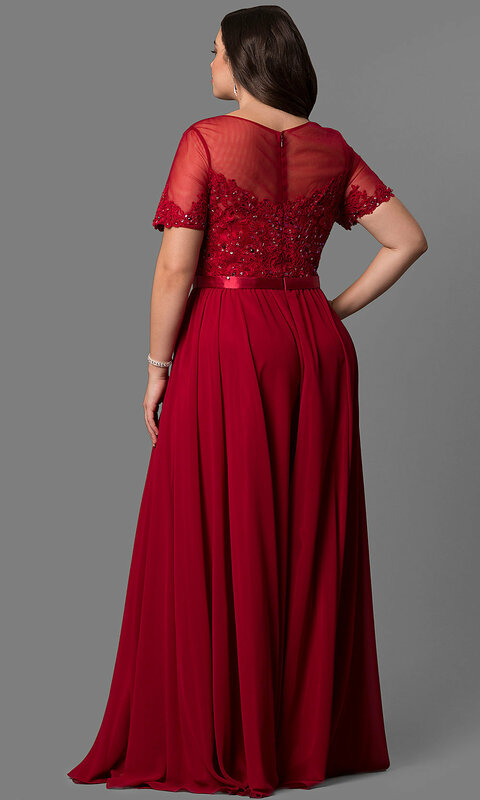 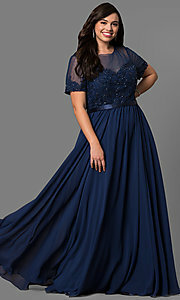 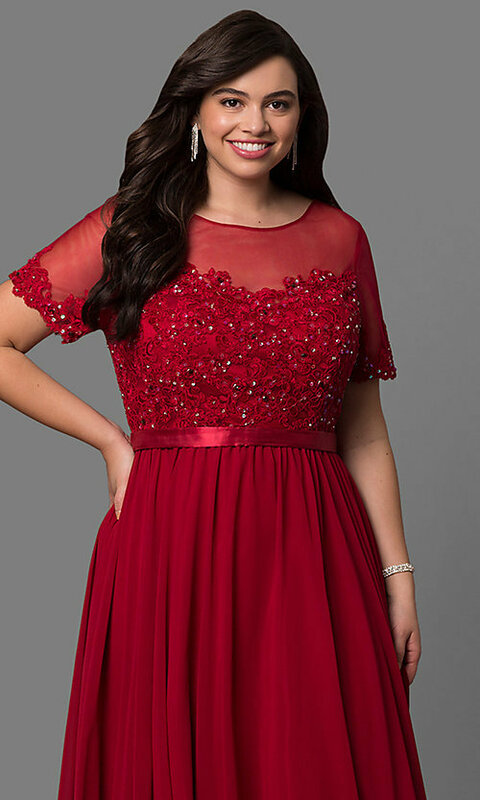 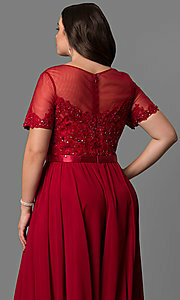 Under $200, this plus-size formal dress is a glamorous, yet affordable style for a military ball or wedding reception. The model wearing burgundy is 5'9" and wearing 5" heels.